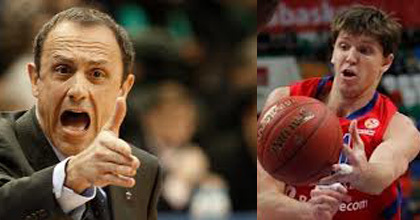 Taking The Charge Podcast Episode 12: Os and Dave talk about Dave’s interviews with CSKA Moscow head coach Ettore Messina and CSKA Moscow and Russian national team forward Viktor Khryapa. For the Movie of the Week segment we watched “Horse Feathers” while Wolfman Os introduces two songs by our musical guest of the week Vir. This week’s musical guest: Vir: 1:19:25 and 1:48:00. Follow Vir on their website, Twitter or Facebook. And buy their music here.